A Guide to the Whistleblower Protection Act and Whistleblower Protection Enhancement Act - 2016 (pdf eBook) - Dewey Publications Inc. 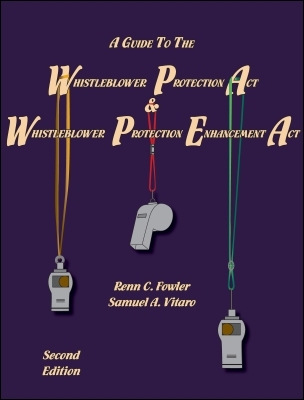 Written by subject matter experts Renn Fowler and Sam Vitaro, A Guide to the Whistleblower Protection Act & Whistleblower Protection Enhancement Act provides insights into the case law and procedure of whistleblower reprisal claims, describing in detail the roles of the Merit Systems Protection Board and the Office of Special Counsel. In depth discussion of the Whistleblower Protection Act, the Whistleblower Protection Enhancement Act, the Presidential Policy Directive Protecting Employees With Access to Classified Information (PPD-19), practice tips, summaries of the most significant cases impacting whistleblower law, and explanations of the procedural and legal differences between individual right of action and otherwise appealable actions round out this text.